American Classic Construction, INC. is a fast paced, growing, & dynamic construction company. 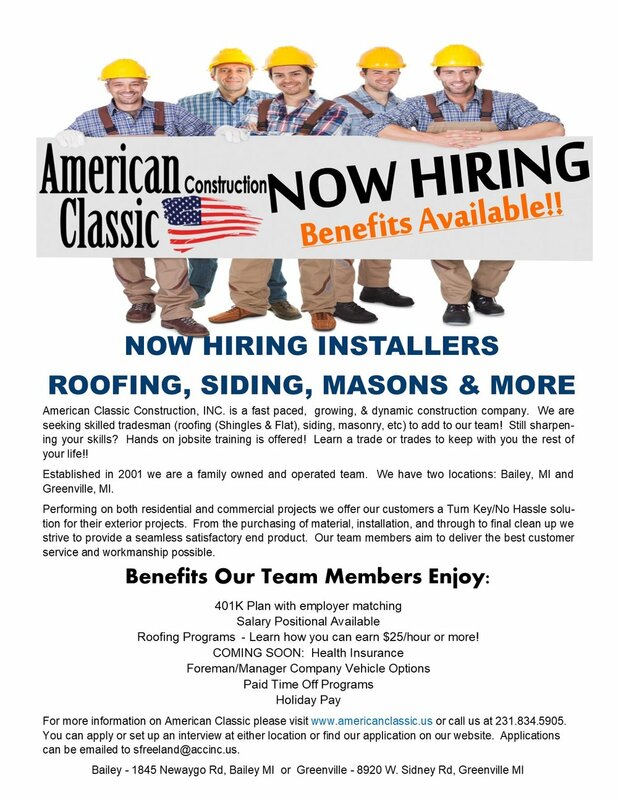 We are seeking skilled tradesman (roofing (Shingles & Flat), siding, masonry, etc) to add to our team! Still sharpening your skills? Hands on jobsite training is offered! Learn a trade or trades to keep with you the rest of your life! !